Each year, there are billions of dollars awarded to students to help pay for college. However, it’s important to understand what’s available and what must be done to receive aid. The following information provides an overview of the college financial aid process and some of the most important information you need to know. What parents should know about financial aid for college. Financial aid is designed to cover the gap between what a family can afford to pay and the actual costs of college, including books, tuition, fees, room and board, supplies, travel, and personal expenses. Financial aid can come from the U.S. federal government (FAFSA), the student’s respective state, the college, or from private organizations. Scholarships and grants are free money you don’t have to pay back. However, there are often strings attached. Grants are typically only awarded to students who demonstrate financial need and are distributed on a first-come-first-serve basis. Scholarships can be given out due to financial need or based on merit. Students sometimes need to maintain a minimum GPA or complete some other requirement to win and keep a scholarship. Apply to hundreds of applicable scholarships using one form with Scholarship Owl! The amount of need-based aid your child will receive is based on the income and assets of your family. Factors such as athletic ability and test scores have no bearing with need-based funding. The most popular types of need-based aid are Federal Pell grants and subsidized loans. If the student is awarded a loan based on their need from the Federal government, the loan is subsidized, which means they don’t have to pay the interest while they are in school. The student will not enter repayment until six months after graduation. Unsubsdized loans are available to any student (as long as they have completed the FAFSA). These loans will begin to accrue interest immediately. 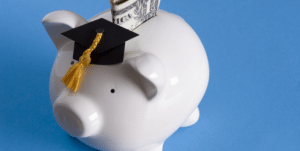 Yet they are still often a good deal for students as the student does not enter into a repayment plan until six months after they graduate, and interest rates are often low. You will want to make sure your student has a plan for paying off the interest while they are in school, as this can quickly add up. If the student is awarded work-study or student employment aid, the financial aid office will help the student find a job where they can earn the expected amount. Work study programs are available for full-time or part-time undergraduate, graduate, and professional students that have financial need. This program provides part-time employment for the student while they are enrolled in school. This program is administered by institutions that participate in the Federal Work-Study Program. For more descriptions on what financial aid is available, see studentaid.ed.gov. The entire process of applying for financial aid starts with filling out the Free Application for Federal Student Aid (FAFSA). Parents should make sure this form is completed as soon as possible after October 1st of the student’s senior year because financial aid is awarded on a first-come-first-serve need basis. The FAFSA is used to calculate an estimate of how much you can afford to pay for college; this is known as the Expected Family Contribution or EFC. In theory, the EFC will be the same whether the student choose a public or private school. While this equation may sound simple enough, in practice it is not so simple. Not every school will meet your student’s full financial need, and even if they do loans are considered part of the financial aid package. After you have completed the FAFSA, check the individual requirements of each school you are considering. Some schools require you to complete the CSS Profile in addition or instead of the FAFSA. If the parents are divorced or separated, the custodial parent’s financial information is considered for the FAFSA. The custodial parent is the one the student lived with the most during the previous 12 months. The custodial parent isn’t always the same as the parent who has legal custody. Negotiation is an underused tactic, but can be effective. The key is to arm yourself with information and remain calm and clear-headed during the process. See this article for more tips on negotiating financial aid offers. Make use a free tool to compare and analyze financial aid offers.